An eye make-up remover that gently removes the mascaras and high-performance blushes with its bi-phased texture. Thoroughly cleanses and removes traces of make-up from the lashes and eye contour, without leaving a greasy film over the skin. Soothes the eye contour and minimizes signs of fatigue around the eyes. 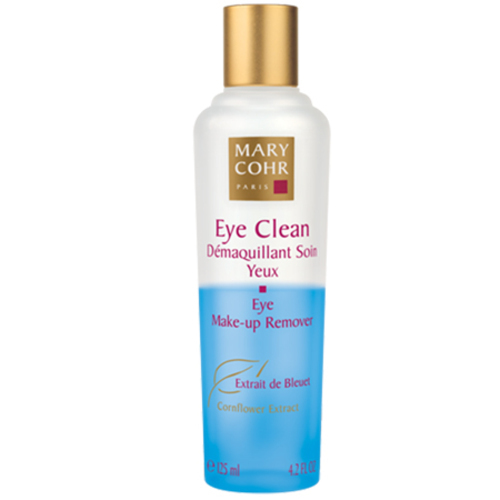 • Apply a small amount of Mary Cohr Eye Clean on a pad and cleanse the eye area. • Let a cleanser according to your skin type follow.